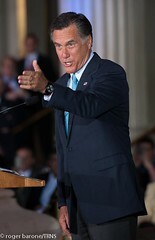 “If you liked the George W. Bush administration’s education reforms, you will love the Romney plan. If you think that turning the schools over to the private sector will solve their problems, then his plan will thrill you. The central themes of the Romney plan are a rehash of Republican education ideas from the past thirty years, namely, subsidizing parents who want to send their child to a private or religious school, encouraging the private sector to operate schools, putting commercial banks in charge of the federal student loan program, holding teachers and schools accountable for students’ test scores, and lowering entrance requirements for new teachers. These policies reflect the experience of his advisers, who include half a dozen senior officials from the Bush administration and several prominent conservative academics, among them former Secretary of Education Rod Paige and former Deputy Secretary of Education Bill Hansen, and school choice advocates John Chubb and Paul Peterson.” (Diane Ravitch, The New York Review of Books).